Parents, a little heads up: there may be some sleepover envy from now on. And it’s all down to Linus. The kids' dream bedroom collection with a space-age twist. 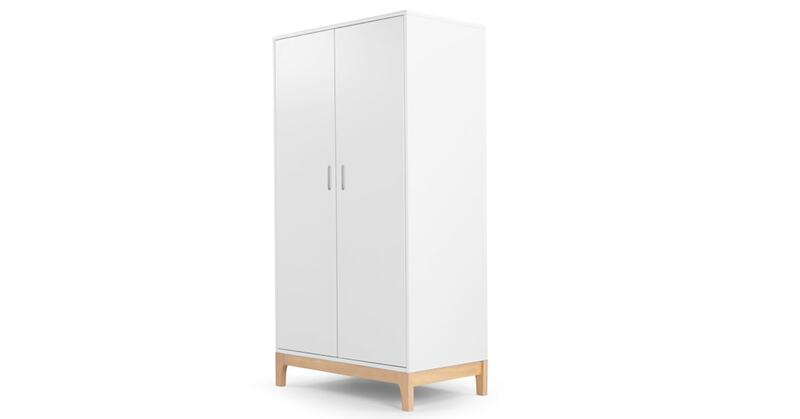 The wardrobe is intended for kid’s bedrooms but it’s such a design classic, we wanted make sure it lasted as long as possible. So we crafted it with pine and engineered wood for strength. It’s fitted with a hanging rail, adjustable shelves and two oblong handles - recessed but backed to keep fingers safe. It’s finished with a pine wood skirt and tapered legs.